The Bootstrap (sometimes called Resampling) was introduced by Efron (1979) and is explored in great depth and very readably in both Efron and Tibshirani (1993) and Davison and Hinkley (1997). It is an extremely flexible technique belonging to the classical school of statistics. It offers an opportunity to assess the uncertainty about a parameter where more traditional classical statistics techniques are not available. 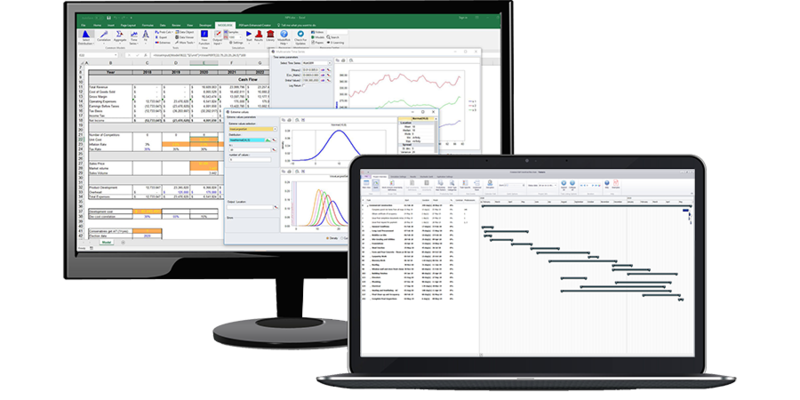 Bootstrapping is particularly relevant as a statistical technique here because the Monte Carlo simulation capability that simulation software adds to Excel allows one to perform Bootstrapping with great ease. The non-parametric Bootstrap is used to estimate parameters of a population or probability distribution when we do not know the distributional form, which is the most common situation. The parametric Bootstrap is used to estimate parameters of a population or probability distribution when we believe we know the distributional form (e.g. Normal, Lognormal, Gamma, Poisson, etc).